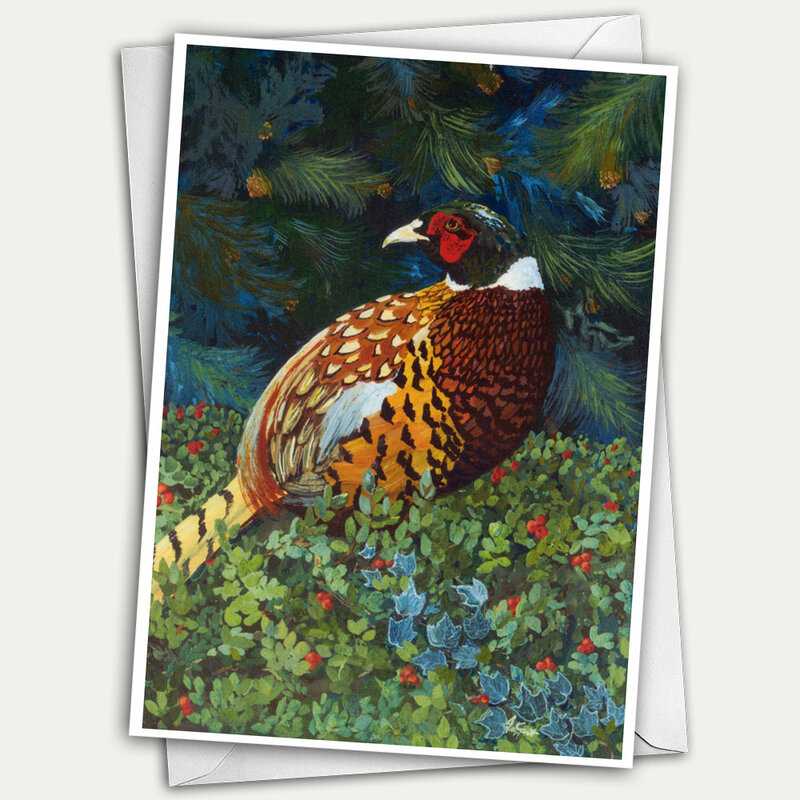 Send a beautiful holiday greeting card with a ring necked pheasant glowing against a back ground of ivy, bear berry, and pine branches. Makes a lovely card for Christmas, Thanksgiving, Solstice or any other winter holiday. 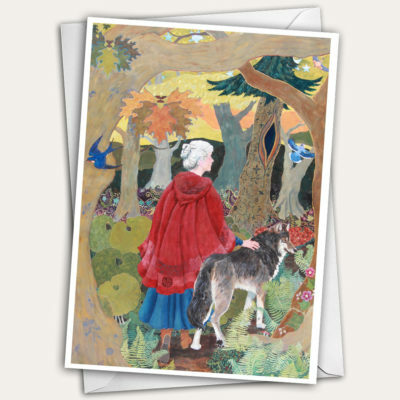 If there’s a birding enthusiast or animal lover on your list it’s the perfect card as well. Available as a pack of 12 here. Ring necked pheasants are not native to Maine, and indeed our winter climate is a bit too harsh for these beautiful birds. But they were raised by the thousands for years because of their popularity with game hunters. They are still raised and released, and we do get the occasional hardy pair surviving and even managing to breed in the wild. This bird prefers to run and hid in the underbrush rather than fly to escape predators. Often, they’ll wait until the last second, and then explode into the air with their characteristic thunderous wing beat. This is so startling that they often make their escape! In any case, most people nowadays are content to admire the bird for the exquisite pattern and color of their plumage. 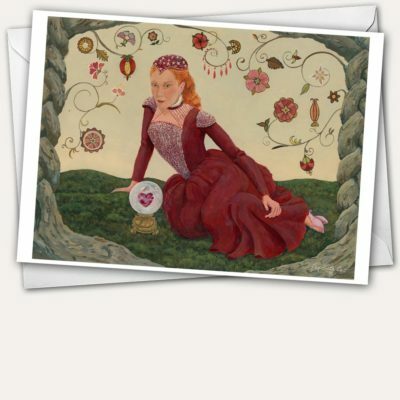 Jen Greta Cart’s Original Egg Tempera Painting. 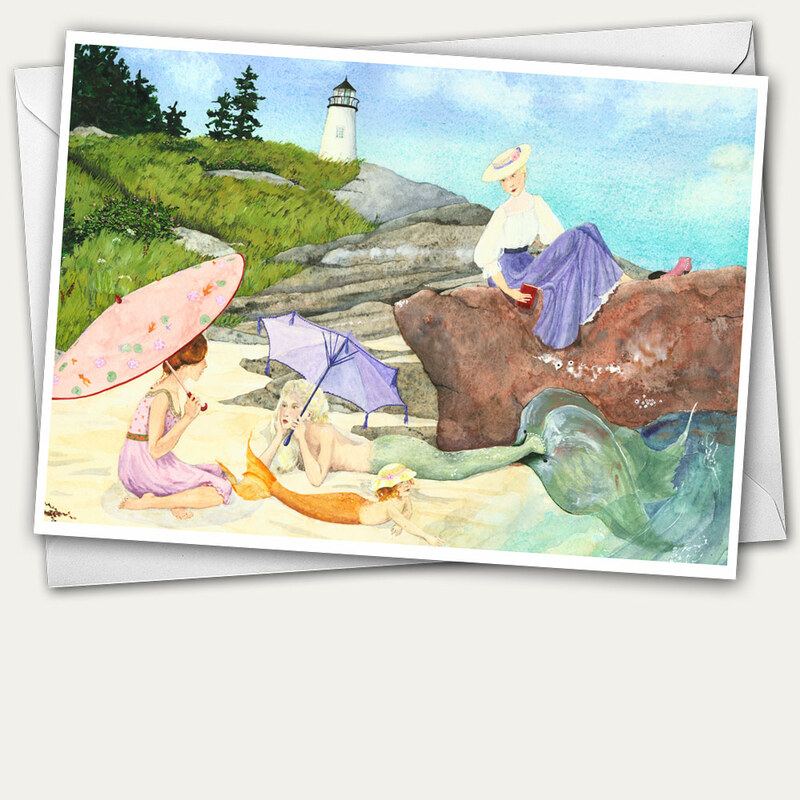 My original painting for this card was done over a decade ago, as donated art work to the Friends of Vaughan Field in my native Hallowell, Maine. I worked in egg tempera on a small surface, about 8 x 10″, to get a jewel like quality. Every detail of bronze, gold, black and white feathers is visible, and it reproduced beautifully for this greeting card.